The WATERBONE™ Story: Our dog loves playing with water, especially water sprinklers. He destroyed multiple water sprinklers both plastic and metal. We were concerned that he may harm himself by biting the sharp material in the sprinklers. So, we started thinking about a sprinkler just for dogs. After trying different designs, we have created an innovative, new water sprinkler our dog loves and we know other water-loving dogs will love too. The WATERBONE™ is designed with your dog in mind. Just attach the blue end of the WATERBONE™ to any common garden hose and turn on the water. The WATERBONE™ sprays water just like a water sprinkler. It is made of non-toxic, durable, and recycled plastic. 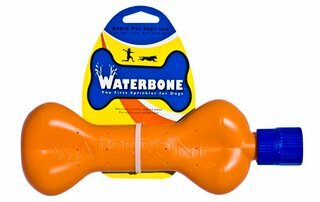 Dogs can pick up the WATERBONE™ safely in their mouths and move it around (they may even water the grass for you!). Buy yours today. Give one to a friend's dog. 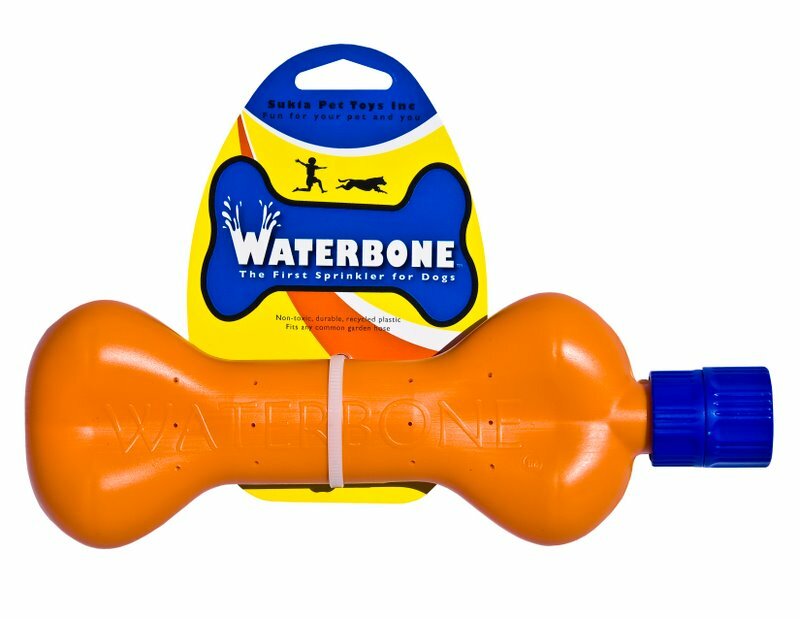 The WATERBONE™ is the perfect interactive water toy for dogs to enjoy!